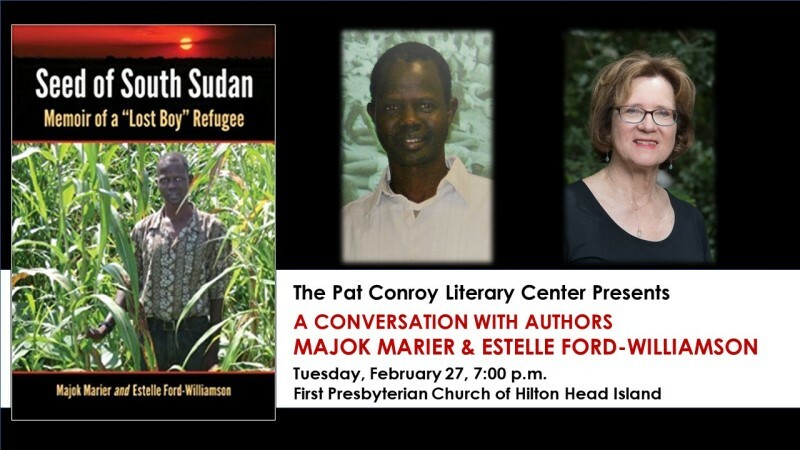 Majok Marier, one of the Lost Boys of Sudan and co-author of Seed of South Sudan, a memoir that updates the story of the Lost Boys who fled the Sudanese Civil War and relocated to the US, will speak about his experiences in a special event hosted by the Pat Conroy Literary Center. Marier will be accompanied by his coauthor, Estelle Ford-Williamson, a former United Press International reporter. 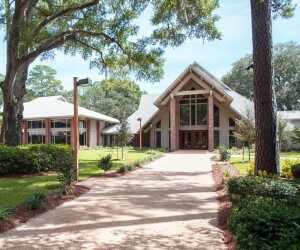 Free and open to the public, this program will be presented at First Presbyterian Church of Hilton Head Island. A book signing will follow the authors’ conversation. Majok Marier fled war in Sudan at age seven, and was a refugee in three countries and many camps over 14 years. 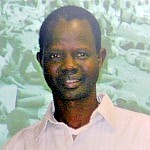 In 2001, he and other Lost Boys of Sudan were resettled in many cities in the United States. Marier and more than one hundred Lost Boys came to Clarkston, GA, in metro Atlanta. Missing his home, he wrote reflections about his experience. He and Estelle Ford-Williamson together wrote his memoir, Seed of South Sudan: Memoir of a Lost Boy Refugee. He later founded Wells for Hope, Inc. to bring clean water and health services to his home villages. In 2015 and 2016, he managed the drilling of wells in three villages east of Rumbek, South Sudan, bringing clean water for the first time to these extremely undeveloped areas. Marier does frequent media interviews about South Sudan and provided research for the 2014 film The Good Lie starring Reese Witherspoon. Estelle Ford-Williamson, a former UPI reporter and fiction and non-fiction writer, co-wrote Seed of South Sudan with Majok Marier. She previously published Abbeville Farewell: A Novel of Early Atlanta and North Georgia, and helped Civil Rights-era seniors in Georgia write and publish their memoirs in The Lou Walker Senior Center Writers Anthology, Vols. 1 and 2. She received grants from Poets and Writers Inc. for teaching at-risk youth, and for readings in Atlanta and New York. 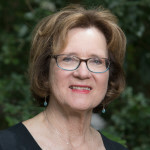 Ford-Williamson now lives near Beaufort, SC, where she has completed a second novel and continues her work as a co-founder and officer of Wells for Hope, Inc.